ChildChild age: 6-17 years old. Under 6 free. 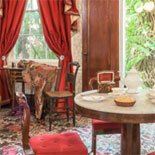 The Audubon House, Tropical Gardens and Gallery provide visitors with a unique perspective into mid-19th century Key West and the creative genius of legendary ornithologist John James Audubon. In addition to viewing an exquisitely furnished mansion, guests can view numerous first and second edition works by the accomplished painter and the lush tropical garden that he featured in his artwork. 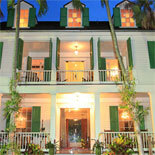 The Audubon House and Tropical Garden reflects the history and natural beauty of old Key West. Built by Captain John Geiger, Key West's initial harbor pilot, the American Classic Revival style home provides visitors with a glimpse into the lives of the city's 19th century wealthy elite. 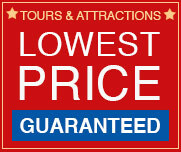 It is furnished with elegant American and European antiques that would have been available during the mid-1800s. The Mitchell Wolfson Family Foundation saved the three-story residence when it was scheduled for demolition in 1958. The first restoration effort on the island, the home and gardens are still considered one of the crown jewels of Key West's preservation efforts. Captain and Mrs. Geiger created a lush one-acre garden filled with tropical foliage. 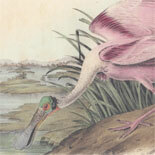 The landscaping served as an inspiration to renowned ornithologist John James Audubon, who visited the gardens in 1832. Audubon used cuttings from the garden as a backdrop for many of his famed works, including 22 new species for his work "Birds of America." The "Geiger Tree" is featured in Audubon's painting of a white-crowned pigeon. There are 28 of his first edition paintings and numerous second edition works on display inside the adjacent Audubon Gallery of Natural History. 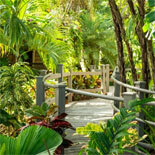 One of the area's finest gardens, visitors will see a mix of native and exotic plants, including bromeliads and orchids. The Audubon House and Tropical Gardens of Key West provide an incomparable view of the city's past and the works of the renowned painter and naturalist. View an exquisitely furnished mansion, numerous first and second edition works and the lush tropical garden that he featured in his artwork. Daily. 9:30 am - 5:00 pm. 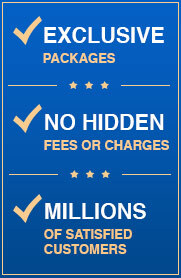 Lots of metered spaces available nearby. Child Ticket: 6-17 years. Under 6 free. Self guided tour with docents to interpret the setting.